My name is Jenny Hauf and I am a mid-twenty-something living in Boston. While I’ve been spending the majority of my past few years working on hippy-dippy farms and sporting dirt moustaches, sideburns, and weird, Queequeg-style tans, I’ve always been a writer. My objective in writing this blog is to make pure, unadulterated life more accessible to the urbanite by sharing my own observations, as well as stories and facts that I’ve collected. City living can be oppressive as one walks from one paved surface to the next, but if one knows where to look – between the cracks in those surfaces, or in the vivacity of abandoned lots and train tracks – one sees that the city teems with breathing, growing, tenacious things. I also aim to share information about gardening and biking – spokes and petals – activities that are practical and rewarding, but also revolutionary and arguably imperative as we enter into the age of the metropolis, where more than eighty percent of Americans live in metropolitan areas. Click here to read Beauty and the Cheese, my blog which chronicles adventures with organic farming, backpacking, and feasting abroad. Gale, I LUUUUUV You. Thanks for always reading and being so supportive! Jenny, I look forward to following your blog. Love your portrait with apples! Thank you for becoming a follower! I was really pleased when I found your blog, and am looking forward to more squirrel stories. Jenny, I wanted to personally thank you for commenting on my blog. I also want to tell you about Blotanical. It’s a search engine of sorts for garden blogs — and you can register with them. The link is http://blotanical.com. Enjoy! Thanks so much Kevin! I will definitely get myself registered. Take care! This blog is GRAND, Jenny. Loving it. Come to Philly. Yes please!! I’ll see you soon. Thanks so very much for visiting! First of all, you are so damn adorable! (Am I allowed to say that here? It’s really only for emphasis.) I’m new to this “food” culture and appreciate learning from those of you willing to share what you know, from your own perspectives. Secondly, I’m so happy you found me so that I could, in turn, find you. I love your blog – it’s so refreshing! Congratulations! I have nominated you for the Versatile Blogger Award. I will post on Saturday, and you can click on the links to learn what you’ll have to do next. Cheers! Oh wow, Kevin!! Thanks so much – I’m flummoxed and flabbergasted 🙂 I’ll look very forward to Saturday! It was very kind of you to think of me. Hello Jenny, thanks for stopping by The Naturephile. I’m very pleased you enjoyed it enough to click the ‘Follow’ button. Welcome aboard! I really like what you’re trying to do with your blog too, I think we’re on a similar wavelength. Hi Finn, I’m happy that you found my blog, and that I got my hands on yours, too! It looks wonderful. There seem to be a lot of bloggers from the UK writing on this general theme, and I’m enjoying discovering them. Hi Jenny this is a lovely blog – it makes me feel like kindred spirits – even if separated by half a world and several years. 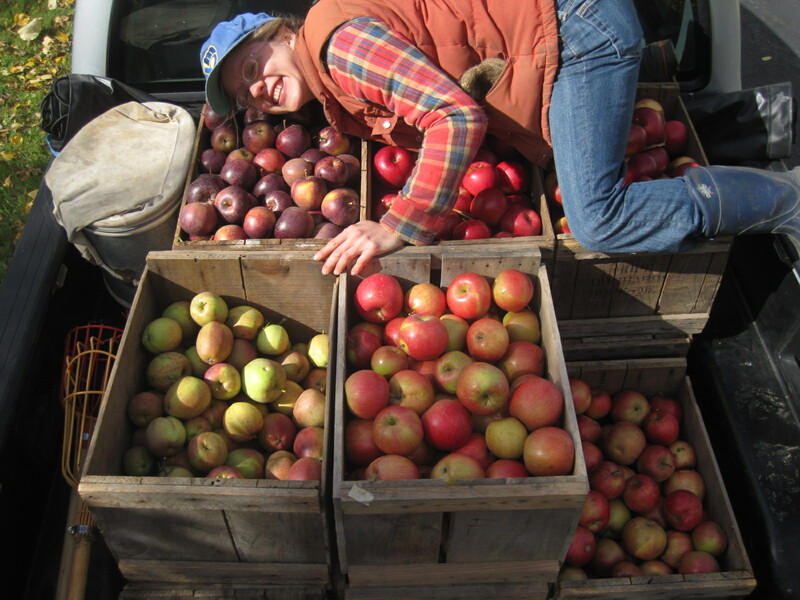 I can’t grow apples like yours, but I think we have similar joys in life and motivations for blogging. Thanks for the follow. I will reciprocate.